Kitchen! Kitchen! 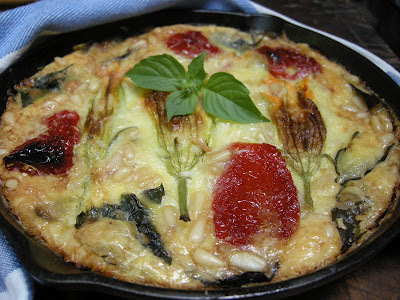 : summer vegetable frittata....at kitchen! kitchen! and some wonderful sun dried tomatoes from Todaro's and toasted pine nuts. I actually got this idea when Fauziah, a friend (and another foodie) posted an aubergine quiche on fb (thank you Fauziah for posting those delicious dishes on fb). Gosh it looked so divine and sinfully delicious. So, I said to myself, I will make something like that but it will be a frittata since my son prefers it over quiche to skip the dough. 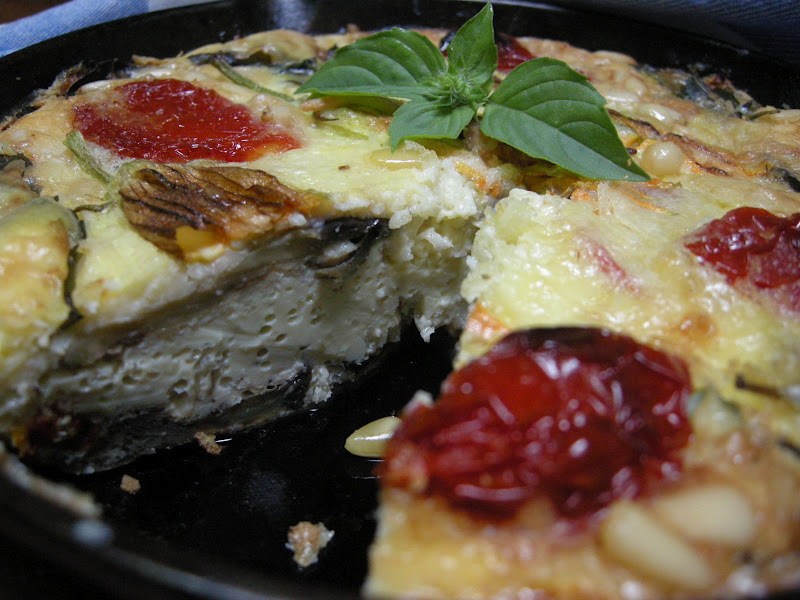 Although one of these days, I will make a similar quiche. It is so easy and I served it cold as an appetizer when I had Halina and Mieszko over for an impromtu dinner. For recipe, check my previous posting on frittata and use the listed ingredients or your own summer vegetables of choice. Serve warm or cold with a dressing of mayonnaise pesto, salsa verde or as is. It's sinfully delicious.